In recent time gone by, it seems like professionals couldn’t go a day without hearing about the Millennials and how to attract, retain and manage them, their values and needs in a company. 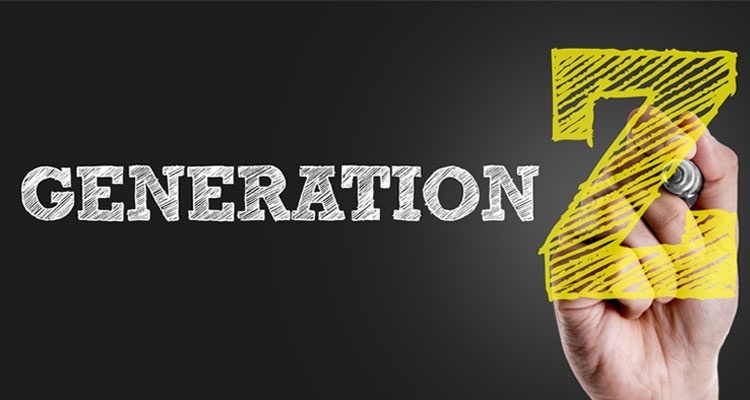 Fast forward to the present, these millennials are now mostly well past junior roles and the buzzword of the millennial generation has shifted to Generation Z (AKA Gen-Z and Screenagers). By 2020, it’s estimated that they will account for 20% of our workforce, so employers need to start evolving the way they view employee engagement and what they deem priority in order to accommodate for the next influx of potential employees. Generation Z has never known a Google and Internet free world. Growing up with the most technologically accelerated advancements in history, this generation has been imprinted with expectations how the working world operates and the definition of success today. Gen-Z seem to have a new set of priorities, with their lightning speed technology use and knowledge and their awareness of holistic wellbeing. This generation are described as sophisticated, industrious, collaborative and eager to better the world. However, there’s also the fear of a profound generational gap, where these Z-ers who are web-wired and socially liberal will stand against the older generations where Internet is a second language and they place value on more traditional ways of working. Most of this generation are conscious of wellbeing and looking after their needs – emotionally, physically and financially. They put a lot of value on self-actualization and happiness. One way companies can cater for this is to offer on-site yoga and meditation classes, sessions on mindfulness and give employee perks where their employees can use benefits to suit their lifestyles, from discounted gym memberships, subscriptions to apps like Headspace and offer flexi working time which encourages a healthy work / life balance. Gen-Z are looking for more than just a salary. What make them tick are opportunities for advancement and the ability to learn new skills and develop holistically. Make sure there are sufficient chances where they can grow and evolve in your company, from cross departmental training opportunities, online courses and quarterly offsite courses. Let them shadow team members as part of their job to get a holistic understanding and working knowledge of the business and not just a siloed approach. Gen-Z are so tech savvy and are super swift at adopting change. Encourage and reward their entrepreneurial suggestions and let them, within reason, take charge and grow projects with their fresh perspectives. They, better than any other generation, know the ins and outs of technology and how to best use the different platforms for efficiency and effectiveness. This generation understands ownership and likes taking charge and working until the task is successful. Gen-Z value diversity and like to be a part of a collaboration. Companies need to foster diversity by creating an open environment where employees are encouraged to speak up and voice their opinions, where there are equal rights for all members and there is a collaborative approach to problem solving. Gen-Z like making a positive impact in whatever they are doing. They want constant feedback to show you care about them and their career development and that you are acknowledging their efforts. Recognise behaviours which support your organisation’s values and culture with a reward and recognition programme. For example, long service awards may only be relevant for older generations, so consider recognising 1-year work anniversaries as this will make employees feel valued and that their contributions are important. Rewards need to be tailored to their motivations and interests, so age appropriation needs to be taken into account. Technology can make a major difference with this generation, companies can use an online portal as a hub for all recognition focused activities. If you’d like to find out more how Xexec can help your business with the integration of this Generation Z and your Employee Engagement strategy, simply get in touch with one of our Employee Engagement Consultants.